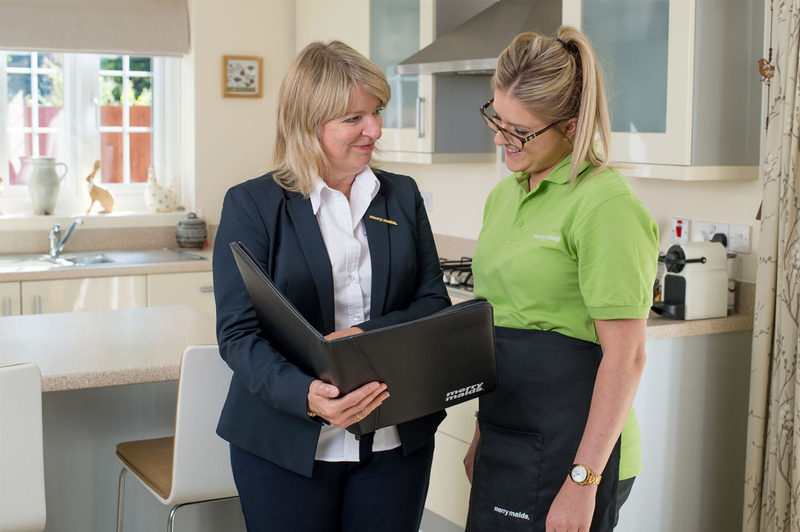 We wouldn’t want you to conform to a “one-price-fits-all” matrix and so our professional cleaning service prices are tailored to suit you and your home. Some homes are busy places with pets and children and lots of activity. Others are quieter, more relaxed and less cluttered and it’s important that we take these things into consideration when working out your personalised cleaning price. After all, if you were a working couple with no children living in a 3 bedroomed property, you wouldn’t want to be paying the same price as your neighbour in the same house style who has two children, three cats, two dogs, a hamster and a parakeet! That way, you can be sure that you’re getting the best cleaning service possible! We’ll happily visit you in your home to discuss a bespoke quotation. Our Merry Maids teams are professionally trained to clean the Merry Maids Way…from top to bottom, left to right, nothing is left unturned! We start with a quick in-home no-obligation quotation to discuss your needs and work out a price to suit you and your home.